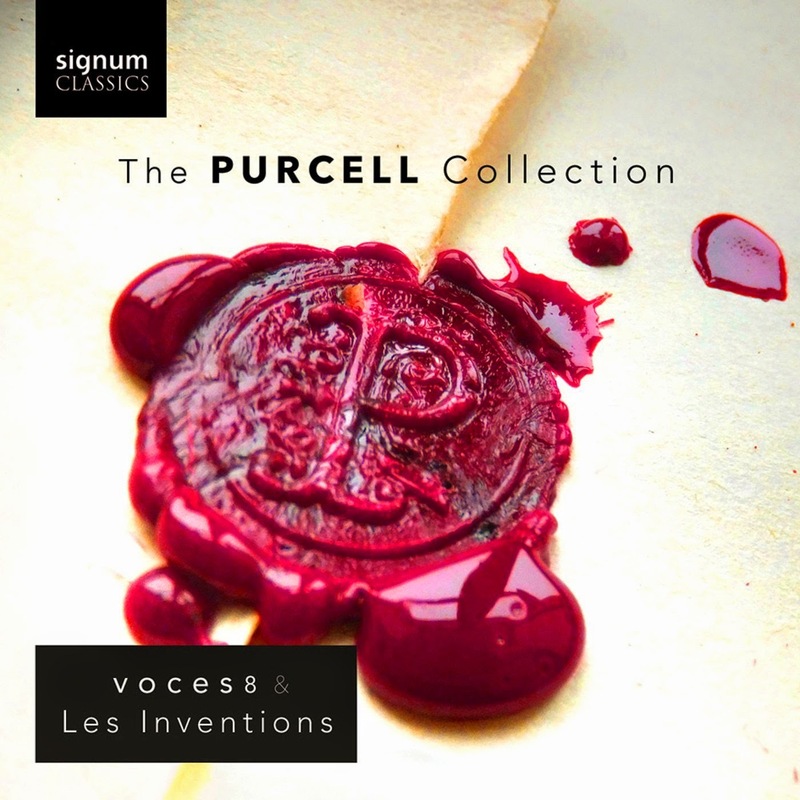 For this new disc from vocal ensemble Voces8 on the Signum Classics label, the group is joined by French period instrument ensemble Les Inventions for A Purcell Collection, described as 'An invitation to stroll through the world of one of England's greatest composers'. 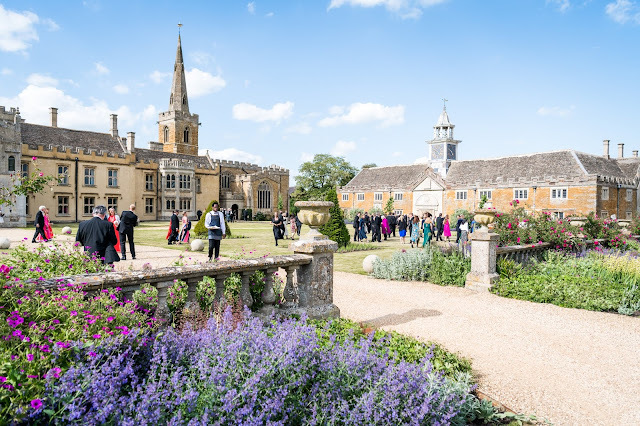 The disc includes a wide variety of items from anthems and opera choruses to welcome songs and odes with most items being selected from longer works. Voces8 is an eight-voice ensemble generally singing one voice to a part. On this disc they are Andrea Harris and Emily Dickens (sopranos), Christopher Wardle and Barnaby Smith (counter-tenors), Oliver Vincent and Samuel Dressel (tenors), Paul Smith and Dingle Yandell (basses). 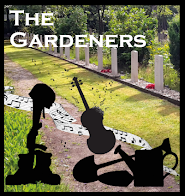 They bring a superb musicianship to bear on works which might often be associated with a larger group of singers. To enjoy this disc you have to be comfortable with three basic premises. That most of the works in the disc are excerpted from larger pieces, that the music is all performed as by a vocal consort rather than larger choir, and that the voices are relatively closely recorded so that there is not much space around the voices. There is no conductor, Patrick Ayrton (of Les Inventions) and Barnaby Smith (of Voces8) are billed as joint artistic directors. They open with Praise the Lord, O Jerusalem an anthem composed for the coronation of William and Mary in 1689. Both voices and instruments make a good strong straight sound with a fine feel for Purcell's music. The final chorus is crisply vigorous with a great low bass. To the Hills and the Vales comes from Purcell's opera Dido and Aeneas. This is a performance you really feel you could dance to, with good words and some lively articulation in both voices and instruments. By Beauteous Softness Mix'd with Majesty is an except from the birthday ode for Queen Mary, Now Does the Glorious Day Appear, of 1689. It features a poised solo from counter-tenor Barnaby Smith. It made me wish that we could have heard more of the ode. The early unaccompanied anthem O God, Though Art my God dates from 1680 and Voces8 perform it in beautiful, well modulated tones, with fine balance and good attention to the words. We move back to the opera house for How Happy the Lover from King Arthur (1691). The piece starts with a lovely stylish passacaglia, full of long instrumental lines and dancing rhythms. The voices bring in a similar rhythmic bounce and there is a fine trio of soloists in Andrea Haines, Samuel Dressel and Dingle Yandell. Though I did wonder whether there might be a bit too much surface polish and that a little roughness might have been welcome. The Cold Song also comes from King Arthur. The piece features Dingle Yandell's vivid bass solo, but performance from soloist and ensemble is stylised to the point of exaggeration and it is a shame we did not get the chorus which follows the solo. Behold, O Mightiest of Gods is a short chorus from another semi-opera Doclesian (1690), sung with vibrantly full voices. My Heart is Inditing of a Good Matter was written for the coronation of King James II in 1685. Writing for eight-part chorus and orchestra, Purcell would almost certainly have expected rather more voices than the eight performing it here. But we are treated to a lovely long dancing prelude, followed by an infectious combination of voices and instruments. By far the longest item on the disc, the performance is vital and vivid though the consort style performance perhaps robs the work of some of its grandeur. Bid the Virtues is an air from Come ye Sons of Art, Away which is the last of the birthday odes Purcell composed for Queen Mary. It was written in 1694, the year she died of smallpox, and is an air for solo soprano (Emily Dickens) where she duets with a lovely mellow oboe solo. Entirely lovely. Hail Bright Cecilia is from Purcell's 1692 Ode to St. Cecilia and features a lovely dark voiced bass solo. There are some nice shapely details, but I would have perhaps like a little more bounce in the vocal lines. In Strike the Viol from Come Ye Sons of Art counter-tenor Barnaby Smith gives us a lovely lyric line with a nice sense of the words. The performance as a whole is rather catchy with both instruments and voices very infectious. For the Second Dirge Anthem which was performed at the funeral of Queen Mary in 1695, Purcell seems to have had to replace the lost final part of Thomas Morley's setting. So here we start with Morley and finish with Henry Purcell. The results are poised and beautiful with some simply fabulous singing. Fairest Isle from King Arthur is given a lovely fine grained and expressive performance by soprano Andrea Haines. Finally the posed Full Fathom Five from the 1695 production of The Tempest. The booklet includes and informative article on the music plus full texts. I have to confess that much though I enjoyed the performances on this disc, the relatively close recorded sound with a very clear sense of the vocal consort kept niggling me though it might not bother other people so much. And I would have far rather heard fewer, longer works. But there is much to enjoy on this disc, with some very fine musicianship indeed. The disc works because the members of Voces8 do what they do to a very high standard. The disc will certainly appeal to admirers of Voces8, but for those simply wanting a selection of Purcell's choral music, the listener should be aware of the very distinct qualities which the vocal ensemble brings to this repertoire but you won't hear Purcell sung better.